Pyro Spectaculars by Souza is the story of our family’s path to the American dream. Beginning over 100 years ago and spanning five generations, the Souza family has been using their pyrotechnic skill to provide joy for their community and thrill crowds around the world. 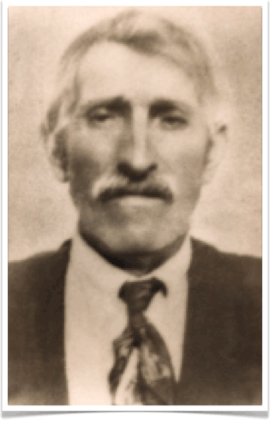 Long before the amazingly choreographed pyrotechnic displays for packed stadiums and television audiences today, the patriarch of the family was thrilling audiences closer to home. Today, the Souza family’s passion, pride, and tradition of fireworks continues to entertain millions around the world. 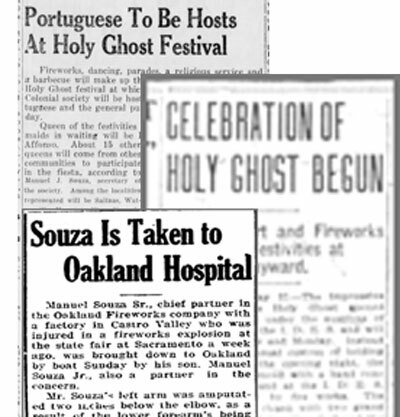 After immigrating to the San Francisco Bay Area in the early 1900s, Manuel de Sousa (the family name was later Americanized to Souza) quickly garnered a reputation as an entertainer by creating fireworks displays for local Portuguese community celebrations. Crowds at the Portuguese Saint’s Day and Festa do Espirito Santo or “Holy Ghosts Festival” were thrilled by his flair for colorful showmanship, earning him the name Papagaio (“parrot” in Portuguese). Soon, the entire family was helping produce shows by constructing fireworks out of their home on the family farm. After decades of refinement and execution, Manuel entrusted his son Alfred with the family’s recipe book of pyrotechnic secrets. 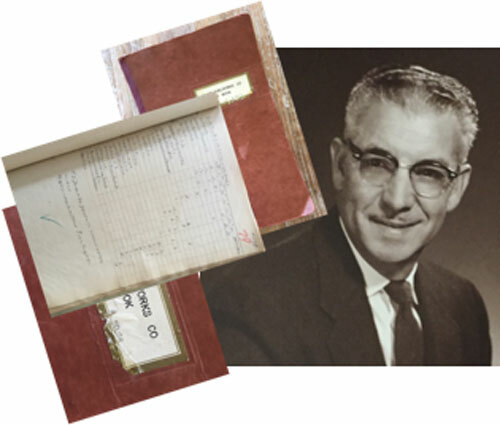 Alfred’s skill as a family-taught chemist ensured not only a sense of continuity to the family trade, but also garnered the attention of the U.S. military, who recruited him for his knowledge in the field. In Chemistry of Pyrotechnics: Basic Principles and Theory, Dr. John Conkling credited these early Souza family displays with being “ahead of their time with brilliant color compositions.” Just two generations in, the Souza family’s legacy was already turning heads. The third generation of Souza pyrotechnicians emerged in the form of Alfred’s son Bob in the 1950s. Bob provided pyrotechnic displays for county fairs and Fourth of July celebrations throughout the 1950s and 1960s. In 1976, Bob showcased his talents, premiering groundbreaking pyrotechnic achievements for the American Bicentennial. Just three years later, he launched Pyro Spectaculars by Souza, marking the end of the cottage business and beginning the modern pyrotechnic enterprise. 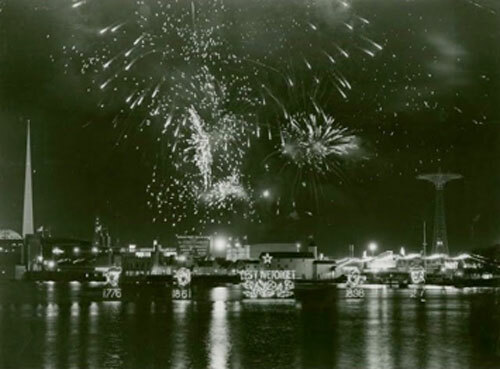 From its humble beginnings at local street festivals almost 80 years prior, the family trade had become one of the largest and most respected fireworks display companies in the world. As a result of being seriously injured during the firing of a display—just as his grandfather Manuel was—Bob redoubled pyrotechnic safety efforts. His innovative use of technology and safety reforms have been transformative in the fireworks industry. The designing of electrical firing systems, training of pyrotechnicians and fire personnel, and development of state safety regulations are all a part of his legacy. His skill in and influence on the industry made him a two-time President of the American Pyrotechnic Association, the recipient of its lifetime achievement award, and garnered him a leadership role in the APA’s Celebrate Safely program. 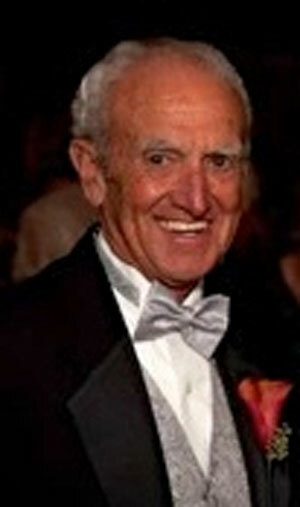 In 1989, the fourth generation of the Souza pyrotechnic dynasty, Jim, became President and CEO of Pyro Spectaculars. Under his leadership, the company has revolutionized choreography methods and precision firing, providing eye-catching entertainment for the world’s largest events. What we now know as the modern fireworks show emerged under his tutelage. Under Jim’s direction, Pyro Spectaculars created the now-famous Sky Concerts and Pyro Musicals; today, these concepts are popular throughout the U.S. and have become the hallmark of major events globally. The Pyro Musical has been described as the telling of the American story with the use of colorful set pieces, narration, and music. 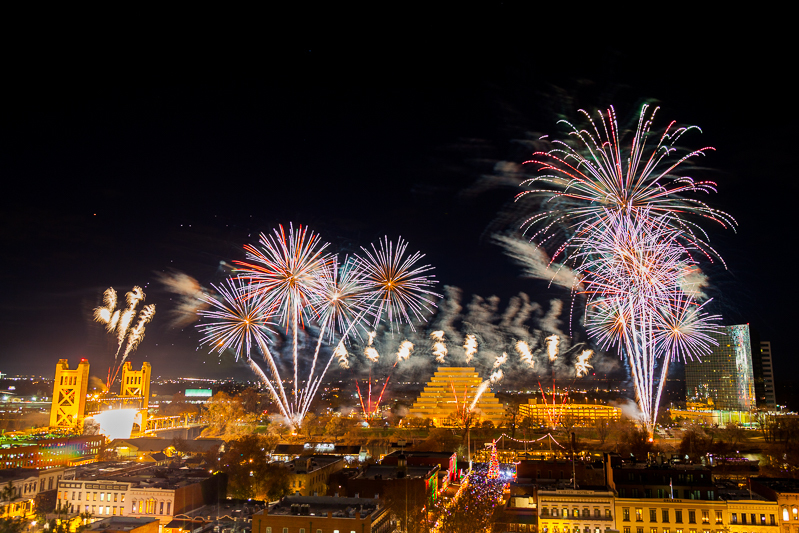 The Sky Concert fuses the ancient art of fireworks with modern technology, with fireworks designed for and choreographed to music performed live and broadcast over the radio. These concepts have helped expand the company, propelling Pyro Spectaculars to national and international acclaim. 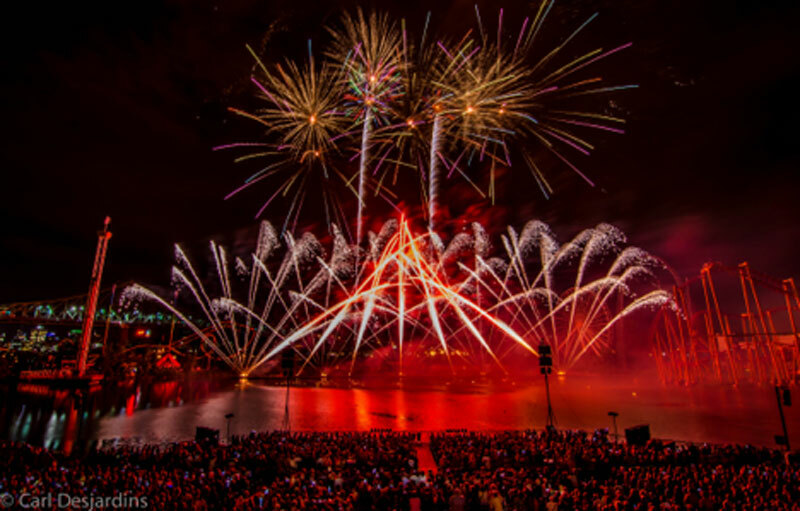 Today, as one of the largest and most respected fireworks display companies in the world, the Pyro Spectaculars by Souza™ name is synonymous with excitement, quality, and safety. Pyro Spectaculars by Souza remains a family-run enterprise, just like it was when the members of the family helped Manuel prepare his fireworks in their home. 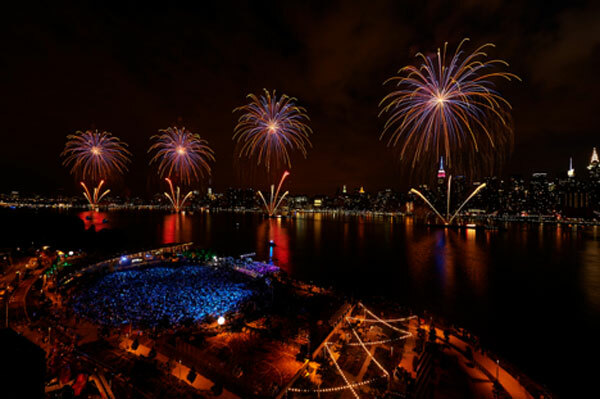 For over 20 years, Jim’s brother Gary has been overseeing Macy’s Fourth of July Celebration in New York City, which is the largest Independence Day show in the world. His passion for fireworks and family pride have made this event an occasion that we are extremely proud of in our Souza tradition. 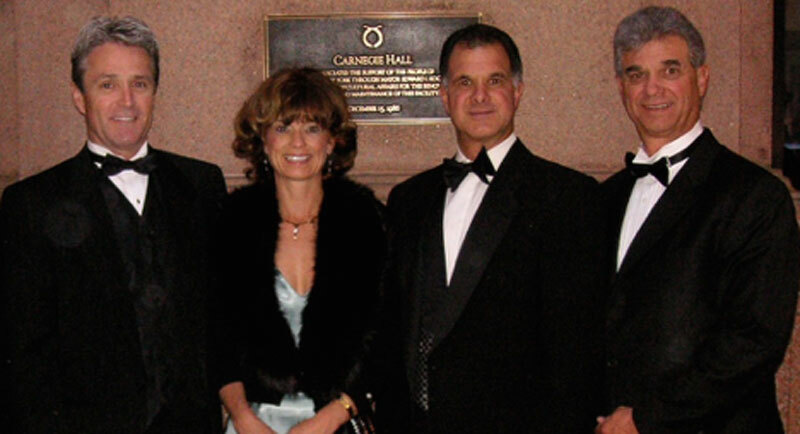 Jim’s sister Nancy and her husband Ian Gilfillan—the Executive Vice President and General Manager of the company—travel the world instilling the Souza brand of magic everywhere they go. For decades, Ian has been recognized as a fireworks industry leader, having served in many significant capacities with the American Pyrotechnic Association. In addition, he has been the driving force behind Seattle’s iconic New Year’s Eve Celebration at the Space Needle and other major events throughout the Pacific Northwest. The next generation of Souzas are currently realizing their dreams in the fireworks field. Jim’s sons Paul and Christopher are working with the company to advance technology in the fireworks industry, utilizing computerized firing systems and high-end production management. Ian’s sons Kevin and Matthew are also working with the company out of their Northern California office as show producers, creating amazing shows as they further their knowledge of the family trade. As they have been for five generations, the Souza family continues to push the boundaries of what is achievable with fireworks. We look back with pride at our heritage. From community events to shows on the world’s largest stages, the Souza family’s commitment to excellence continues. Now we’re committed to making the best fireworks shows in the world even better. We’ll continue to push the possibilities of what is possible with fireworks in our quest to bring entertainment to people around the world. It’s our way of providing joy to people on every continent. It’s why we are the fireworks ambassadors of the world.